The simplicity of this recipe belies its complex flavors – don't underestimate the power of five-spice powder. This blend, in existence for centuries in China, successfully balances basic tastes of sour, bitter, sweet, pungent and salty through spices like fennel, star anise, cloves, Szechuan peppercorns and cinnamon. Canola oil’s neutral flavor showcases this glorious spice blend. 1. 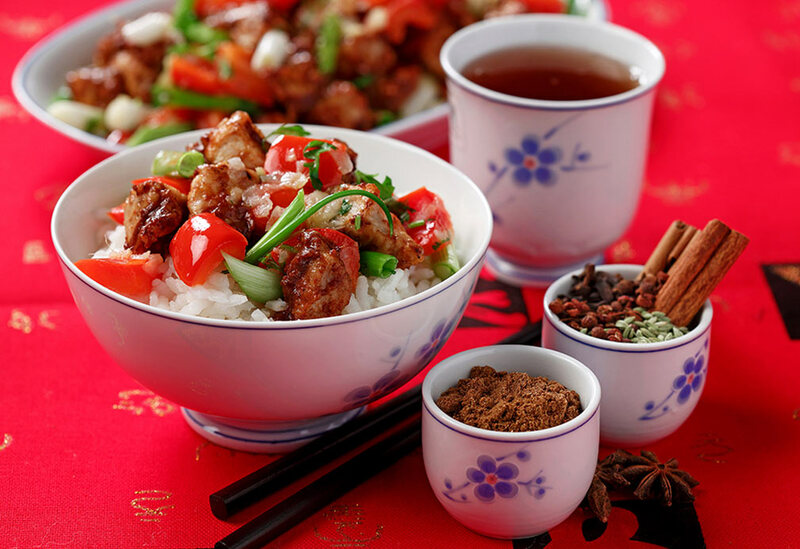 In small bowl, stir together tomato paste, soy sauce, salt and five-spice powder. 2. In medium bowl, toss pork and cornstarch together. 3. Heat wok, large skillet or well-seasoned cast-iron skillet over high heat. Drizzle 2 Tbsp (30 mL) canola oil down sides of wok. When oil forms shimmering pool in bottom of wok, add pork and stir-fry, stirring constantly, until pork turns slightly brown yet still pink in center, 8 to 10 minutes. Transfer pork to plate. 4. Trickle remaining 2 Tbsp (30 mL) canola oil down sides of wok and quickly stir-fry garlic, ginger and bell pepper until some pepper starts to blister, 5 to 8 minutes. Add tomato paste mixture and stir to warm it, about 30 seconds. 5. Return pork to wok, including any juices from plate, and stir well to combine ingredients and season meat and vegetable with aromatic sauce. Once pork feels hot to touch, 2 to 4 minutes, stir in cilantro and scallions, and serve immediately. in a spice grinder. Grind until the texture resembles that of finely ground black pepper. 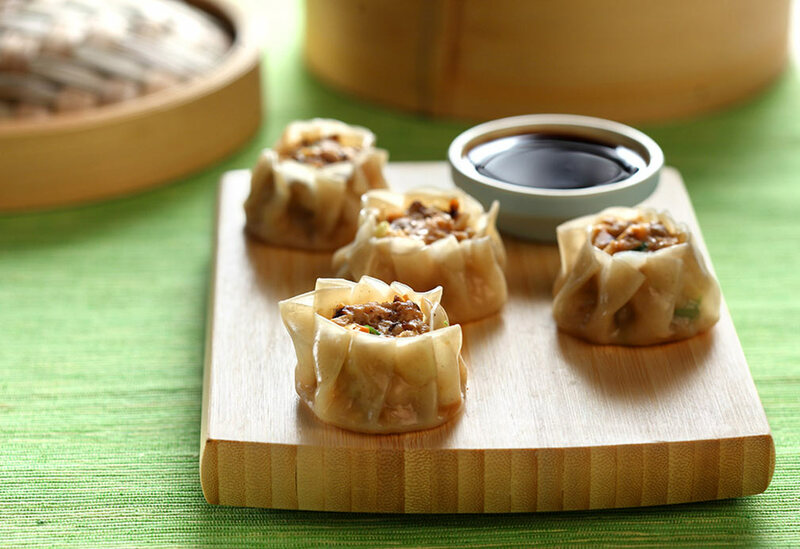 Some of China’s signature dishes, such as Peking duck, barbecued spare ribs and roast pork, are flavored with this classic blend. Other five-spice powders may include cardamom, cassia (instead of cinnamon), ginger, nutmeg and even licorice root. If doubling or tripling this recipe, cook the dish in two or three separate batches to retain that wok-seared, smoky flavor. If you overcrowd the pan, the ingredients will be stewed as opposed to stir-fried and seared, and the consequence will be blah-tasting fare. 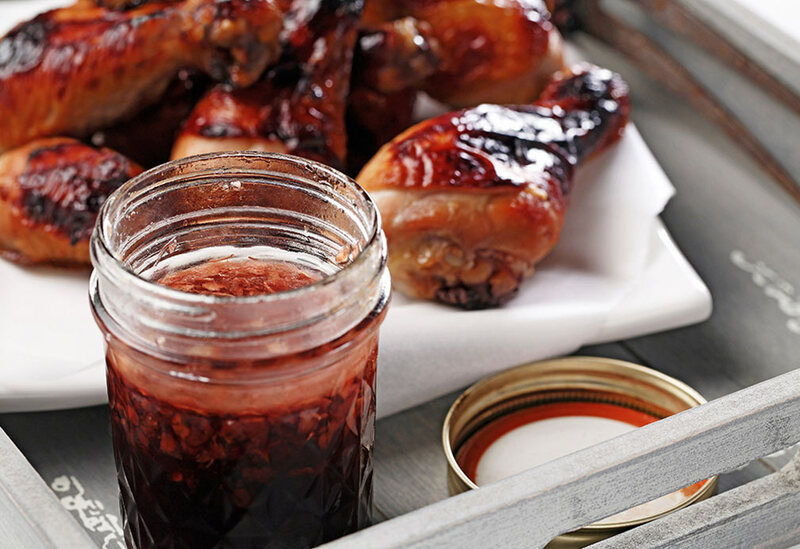 This sweet and tangy marinade taste great on chicken, turkey or pork. A great recipe for company! This pork in a Thai-style marinade has hints of coconut, chile and curry. 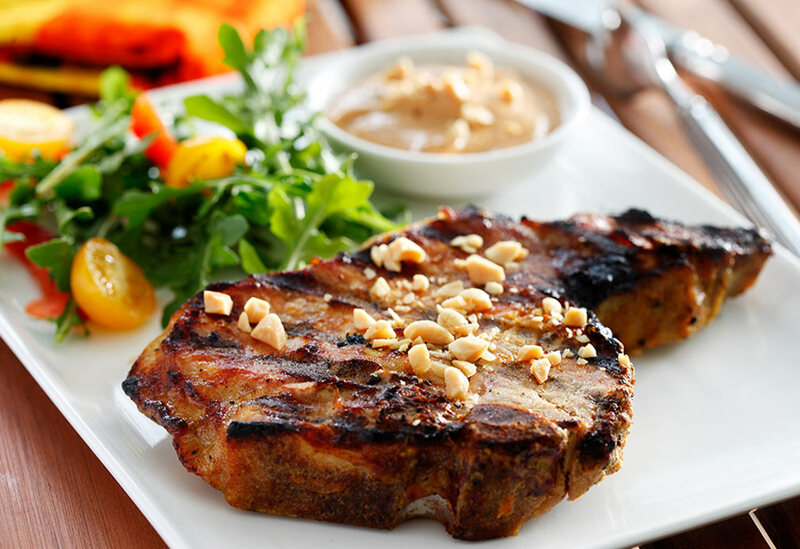 Canola oil in the accompanying peanut satay sauce gives it a lighter texture while letting classic flavors shine.